Why not use the links below to follow and talk to us? 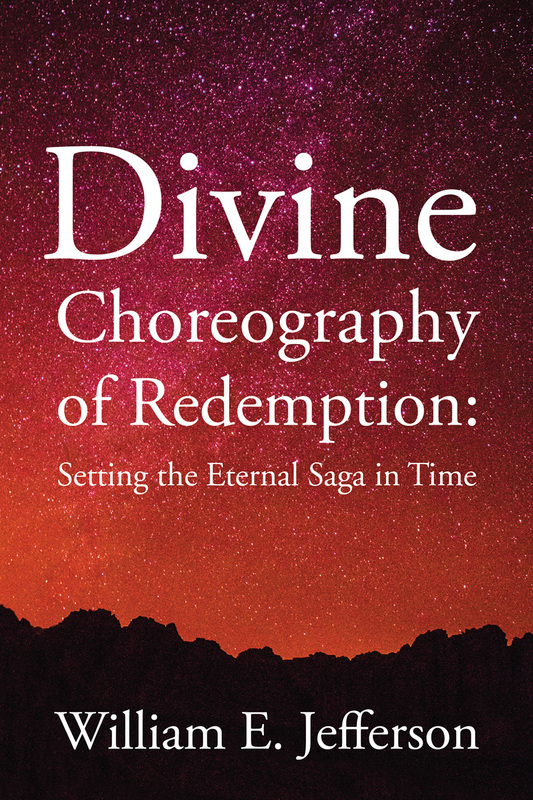 William E. Jefferson, author of Divine Choreography of Redemption recently wrote a guest post for A Title Wave. Messages from Estillyen: A Novel of Redemption and Human Worth offers ten portrayals in which Lucifer appears as a real-time observer of well-known Scripture narratives, including the Transfiguration and Crucifixion of Jesus Christ. In one angst-ridden diatribe, titled simply “The Speech,” Lucifer explodes with theological musings. Seemingly unfazed by the divine construct of Scripture and its story of redemption, Lucifer contends that his chaotic brand of message making will eventually trump God’s choreographed message. We invite you to muse on this speech and join the contest by submitting a short (300-word) essay on the characterization of Lucifer as reflected in “The Speech.” If you’ve already registered for the contest, thank you! If not, we invite you to do so now. You can register for the contest and read the speech here. If you need a specific direction for your essay, feel free to use one of the following ideas. Of course you may use your own idea as well. Possibilities are endless; be creative! The essay contest on the characterization of Lucifer as found in Chapter 21 of Messages from Estillyen: A Novel of Redemption and Human Worth is underway! In conjunction with the contest, Port Estillyen Productions is offering free downloads of the dramatic readings of Scripture from the Monks of Estillyen. Reading Twelve, “Centering in Christ,” is now available for download. Find it in its entirety here, along with Readings One through Eleven. Read all twelve readings. Ponder the message. The essay contest on the characterization of Lucifer as found in Chapter 21 of Messages from Estillyen: A Novel of Redemption and Human Worth is underway! Estillyen is pleased that various colleges and universities–among them, Bethel University, Gordon College, Taylor University, The College of the Ozarks, Dordt College, Evangel University, Westmont College, Trinity International University, and Northwestern College–have seen fit to help promote the contest to their students of literature. In conjunction with the contest, Port Estillyen Productions is offering free downloads of the dramatic readings of Scripture from the Monks of Estillyen. Reading Eleven, “Piercing Words,” is now available for download. Find it in its entirety here, along with Readings One through Ten. “READER: A word must be spoken, scribbled, scribed, shouted, or something else, in order to become a word. Words are thought descriptors. They project thoughts from anonymity. They transfer thoughts into messages. Messages move the world. . . .
VOICE: When does a message become a message, anyway? Reading Ten, “Piercing Words,” is now available for download. Find it here, along with Readings One through Nine. Read them all, and ponder the message. Reading Nine, “Stop Doubting and Believe,” is now available for download. You may find it here, along with Readings One through Eight. Read them all, and ponder the message. As part of the essay contest on the characterization of Lucifer as found in Chapter 21 of Messages from Estillyen: A Novel of Redemption and Human Worth, Port Estillyen Productions is offering free downloads of the dramatic readings of Scripture from the Monks of Estillyen. Reading Eight, “Remember Me,” is now available; find it here, along with Readings One through Seven. “The atmosphere on this chilling-killing day was mournfully convulsive. At least it was for some, but certainly not for all. It was a day of retribution for the religious elite. Their fortitude had paid off. They had won, or so they thought. Good riddance was the mood, a chance to finally shake their fists at this dangerous zealot threatening to destroy God’s temple. Reading Six, “Get Up–Don’t Be Afraid,” is now available; find it here, along with Readings One through Five. “The Transfiguration is a story rich with imagery conveyed by words. It’s one of the most amazing stories in all of Scripture. The Transfiguration is saturated with substance, shedding a certain light found nowhere else in the sacred texts. Reading Five, “The Word Became Flesh,” is now available; find it, along with Readings One through Four, here. “Hello, everyone. My name is Drama. It’s great to have you here at Tunnel House today. My colleague in the far corner is my dear friend and brother, Chronicle. He’s supposedly now retired, but have you ever seen a retired monk? Brother Chronicle will be assisting me with a bit of the reading. “Concerning Tunnel House, we’re not sure why the house was built as it was, with the tunnel below. We know carriages have passed through, and it’s an obvious shelter from a storm. “We like Tunnel House for readings because a tunnel is a space for going through; from one side you pass to the other side. One end of the tunnel may show through to clouds and rain, the other end sunshine. Smiles may populate one end, sorrows the other. Tunnels are an experience. Some people simply dash through them, while others tend to plod along. Tunnels have a way of silently transmitting to travelers the pace prescribed. “In life, sometimes it can be difficult to discern one’s direction. In a tunnel, there are only two directions: this and that. But that can look like this, and this, that. Tunnels are funny that way. They can lead you in, or take you away. In and out you go. “A tunnel is a tunnel true—never a passage or a pass. Calling a tunnel something else is like suggesting a crevice is a cave, or a canyon a crack. No, a tunnel is that which surrounds you. You see it all. There’s no denying you’re in it. Encased within you are; through its artery you progress. Whether short or long, you are the life within the tunnel. Yet the tunnel is not you. This you must always remember. “And residing in a tunnel really does not work. A tunnel is not a place of residence. A tunnel may be quite short or expressly long. Certain tunnels have been reported to grow. Once you enter a tunnel of this description, the light at the other end does not grow brighter, as you might think. It looks as if the light is diminishing, but it’s not. It’s moved. The tunnel is growing longer. “If you find yourself in a growing tunnel, let me suggest the slightest bit of advice. It’s not wise, particularly when inside a tunnel deep, to start racing towards what appears to be a dimming light. For if you do, the light can go out; it can disappear. Before you get to the end, another tunnel has begun, and tunnel two may be twice as long as tunnel one. “It’s always best when in tunnel space to move at tunnel pace. Respecting the sense of tunnel enclosure is the mode. See it as a kind of caregiver, a respite from the elements that will bring you through, in tunnel time, to the life God has for you.